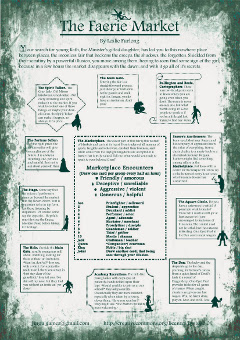 The One Page Dungeon Contest is a chance to put your ideas and designs in front of the roleplaying community. This year Gary Gygax’s son Ernie Gygax will be a judge along with the famous Steve Winter of TSR and Wizards of the Coast fame. 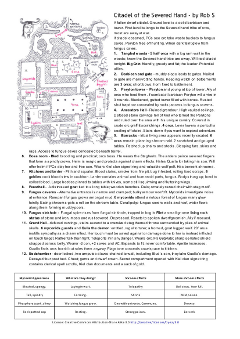 The contest has created more than 300 one page dungeons that you can use today. This year’s One Page Dungeon contest is being run by Random Wizard. Who else better to look back at the competition, winners and share some design tips! What is the One Page Dungeon? Have you ever opened up your favorite module, adventure, or role-playing game product and felt just a little bit overwhelmed with the amount of detail presented? Often times, the beginning of an adventure will advise reading over the content (sometimes advising to do it twice!) so that a game master can get a firm grasp of the situations to spring on the players at the game table. The game happens, the players go off in their own direction, the game master forgets a reference but doesn’t want to make the players wait while flipping through a book, the game goes on, sometimes improvisation happens, and hopefully, everyone has a good time anyways. But wouldn’t it be cool if there was a way to create a “cheat sheet” of the adventure? 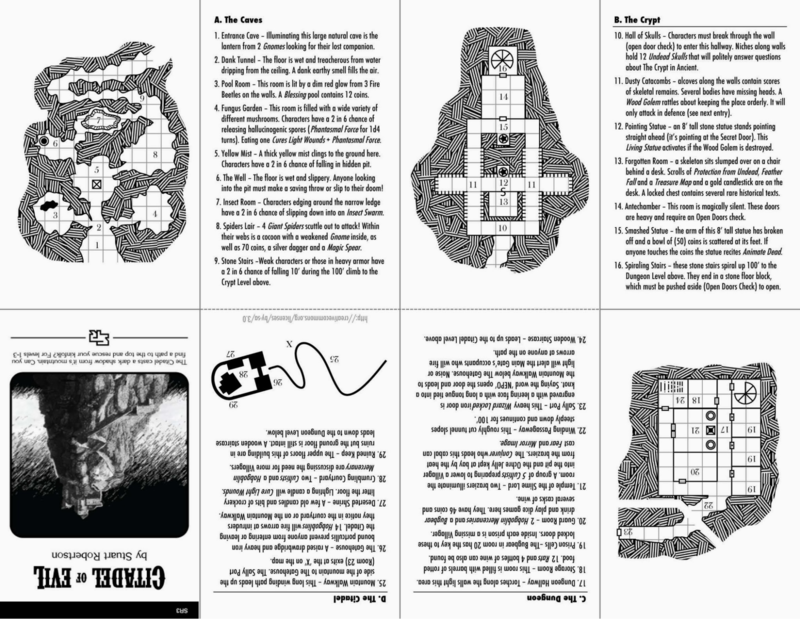 Instead of writing room numbers on a dungeon map and then consulting back to the adventure book, what if a list of notes appeared right next to the map to reference as you played? That, in essence, is what the One Page Dungeon Contest is about. How to win at the One Page Dungeon Contest? Creativity is always difficult to quantify. When statistical modelling is brought to bear on human endeavours, it often misses some intangible factor. One just has to look back to the stock market crisis of 2007 as an example. Computer models said everything is just dandy, but in the end, you can’t accurately model human behaviour. And so, anyone entering this contest has to contend with different judges, different perceptions, and the ever elusive muse of creativity. Still, there is a lot of data to peruse to try and get a vibe of what wins and what loses. The previous five contests are all kept online for the world to use. One of the conditions for any submission is that it has to be put under the Creative Commons Attribution ShareAlike 3.0 unported license. A few trends can be gleaned from the winning entries. 1.) 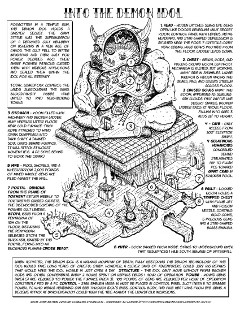 Appealing to the ideals and inspirations of the original One Page Dungeon format. 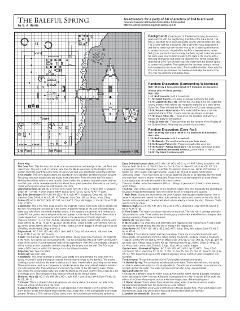 If you read through the history of the contest, you will see that the original concept was to utilize a one page template consisting of– the upper left 1/4 of the page would be a small map on a 30×30 grid, the right column would be an introduction and random encounters, and the bottom portion would detail the encounters of the map. People are always swayed by beauty. There have been some very high quality, professional grade entries over the years that have added an artistic touch to the map representations. But the key is to not push it so far into the “art picture” realm that it cuts into the amount of text that describes the idea. And it is worth noting, again, that different judges are going to have different criteria. If you decide to go down the road of making an artistic isometric map, you may gain appreciation of one judge while simultaneously alienating another. 3.) Stretching the bounds of one page. One of the rules of the contest is that everything has to fit on one side of one sheet of paper. Many have taken that as a challenge to see just what can be done with the medium. 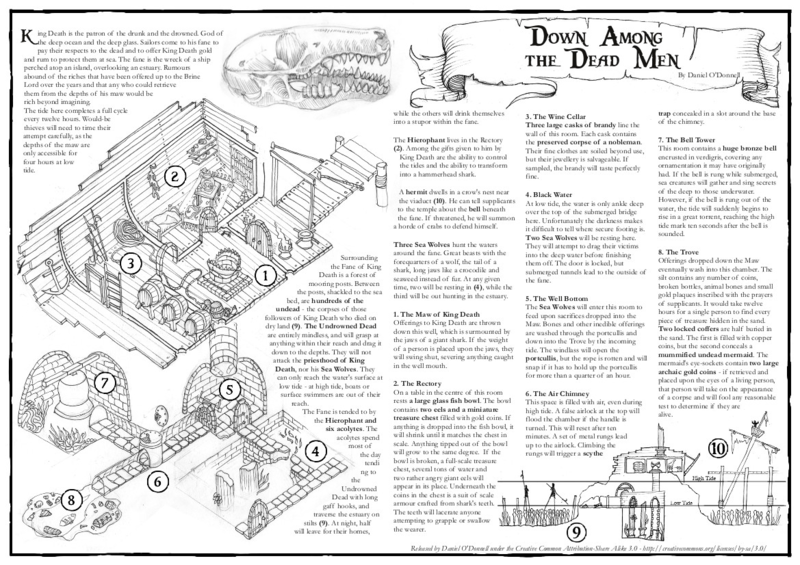 An early entry in the 2010 contest had a map of a rotating tomb. By having the entire dungeon rotate, the map becomes reusable with each play. In essence the map becomes larger than just the size of the circle. Nostalgia is a powerful force. 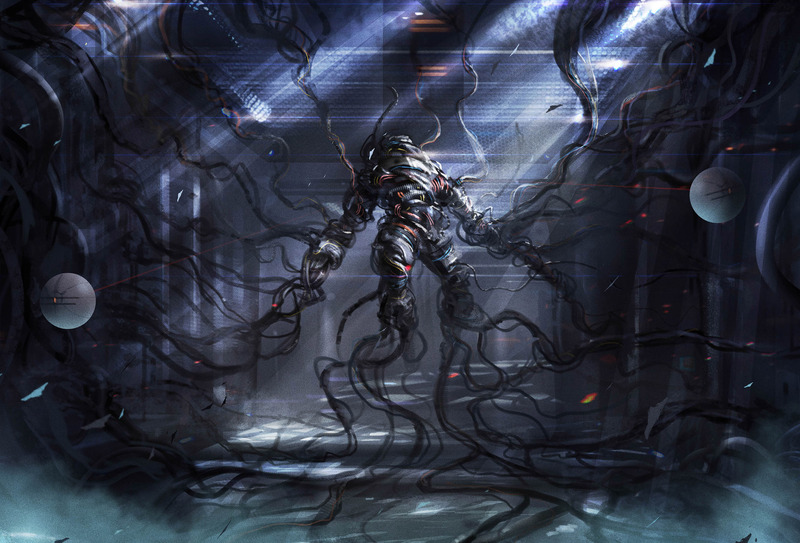 Sometimes an entry can focus in on a previous idea and present it in another light. 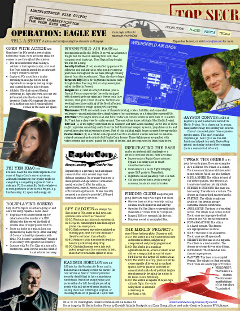 Take PJ Cunningham’s winning espionage entry from 2011. Any judge who is fond of Top Secret or the 007 role-playing games from the 80s will instantly recognize the format, and will, hopefully, give it a second look. And for fantasy rpg fans, in last years contest, another entry did a wonderful job of converting the image from one of the most popular role-playing game covers of all time, and turned it into a dungeon. But, a word of caution. It is not enough to just latch onto some old idea or image. 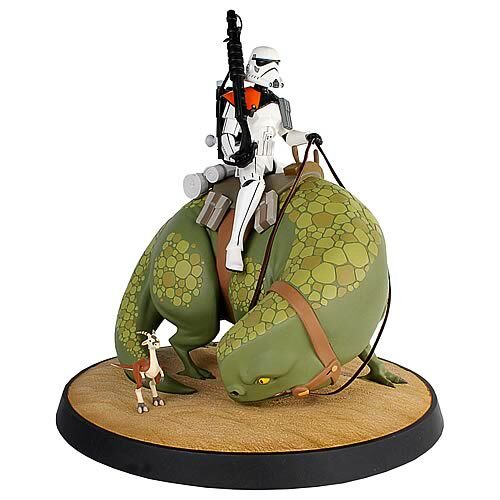 The entry has to be backed up with creativity and playability. There are no easy routes to victory. 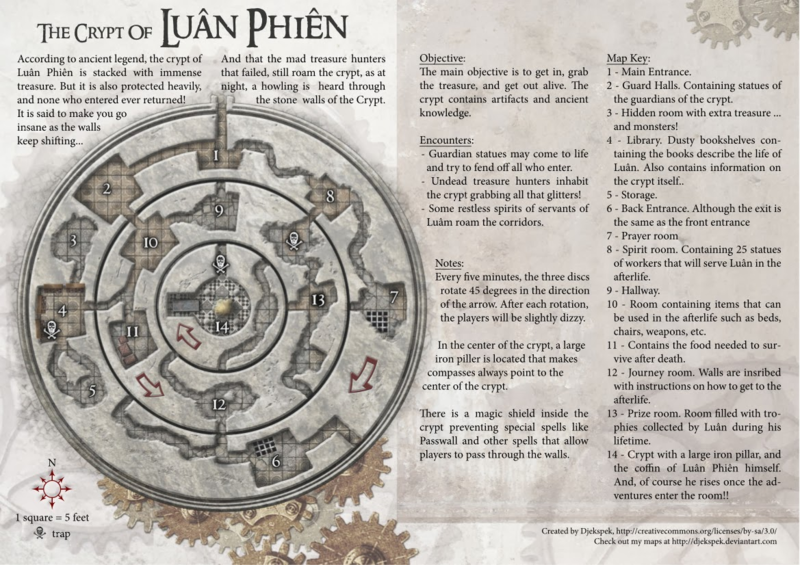 Similar to point 3, there are entries that take the idea of a dungeon and its map and stretch the concept; perhaps it is a map of a far away star system, or a map of the rips of fabric of the time space continuum. Take Kelvin Green’s winning entry from 2012. 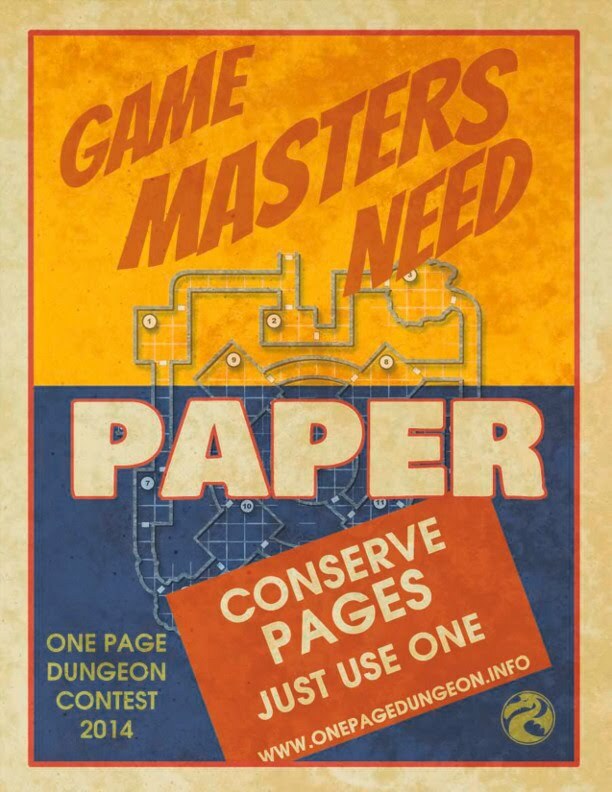 The page is not a dungeon at all. It does not even have a map of a dungeon. 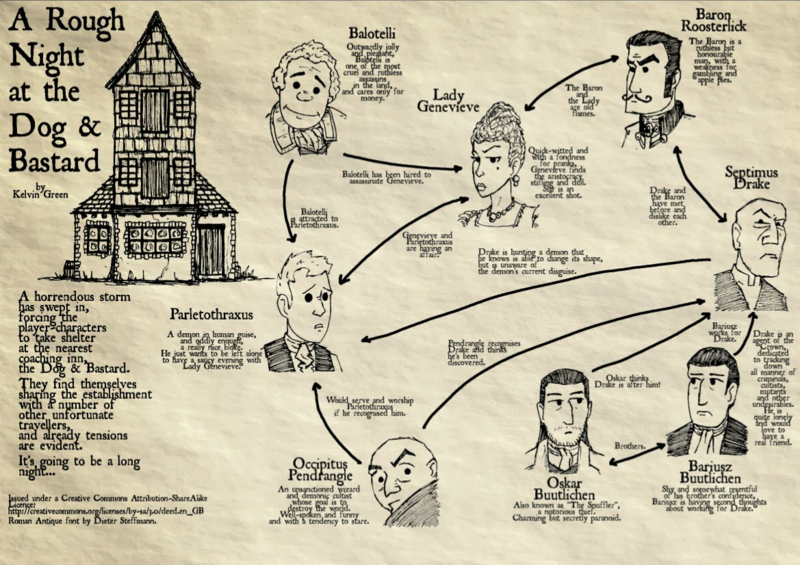 It consists solely of an inn filled with people and their relationships to one another. Who will be the judges for this years contest? This is the 6th year of the contest, but more importantly, this year marks the 40th anniversary of the birth of role-playing games. Gary Gygax created an entirely new way of playing games with the release of three little brown books in 1974. The One Page Dungeon Contest is proud to announce that Gary’s son, Ernie Gygax will be one of the judges. Ernie was the original playtester of Dungeons & Dragons as Gygax played the game with his family and friends to test out and refine the rules before publication. During the late 70s, early 80s, Ernie managed the TSR Hobby Shop and ran many sessions of the Hobby Shop Dungeon for visitors, customers, and fans. His latest project has been to release the Hobby Shop adventure as a new product for the world to experience. The second judge will also be well known to fans of role-playing games. Steve Winter has agreed to lend his discerning eye to evaluating this years entries. With a career spanning more than 20 years at TSR and WotC, Mr. Winter’s contributions to the role-playing game industry are numerous and significant; editor of Star Frontiers, organizing 2nd edition Dungeons & Dragons, and the 3rd edition Monster Manual II to name just a few.  Teach Google what you like. Subscribe to Geek Native as a source. As someone considering entering this year’s contest I found this post very helpful. Thanks for sharing.